My first experience with SCVNGR was via a window sticker at Dottie’s True Blue Cafe in San Francisco’s Tenderloin District much like one of the Google Places window stickers. It is, by the way, the BEST breakfast I’ve ever had. 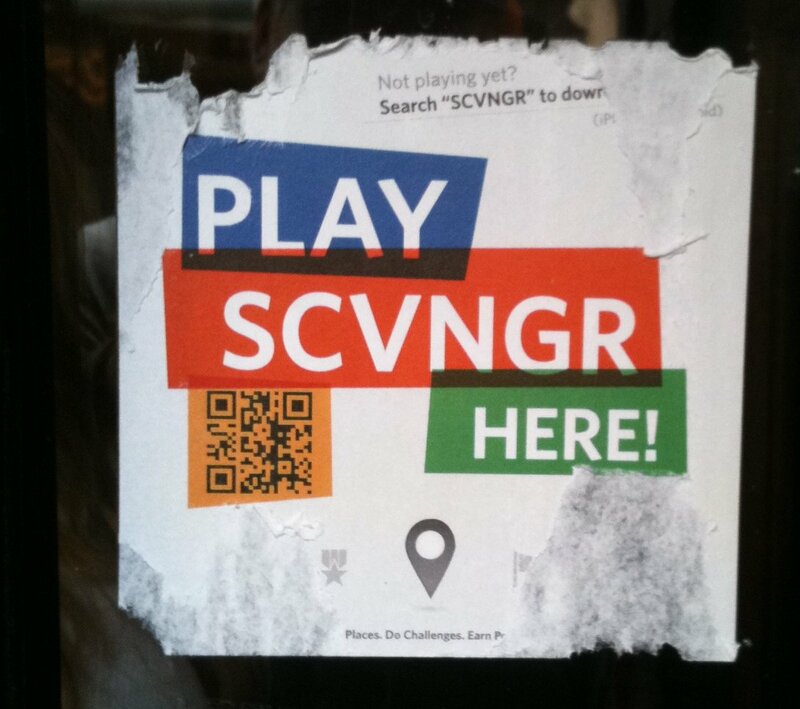 SCVNGR is one of the many geolocation games/systems that are popping up on many smartphones across the world. I recently had the opportunity to speak with Evan Korzon of SCVNGR. He showed me some of the exciting new features of their platform. The most exciting of which is the rewards system. Unlike Foursquare where the users are rewarded with virtual badges, SCVNGR allows businesses to create unique rewards for their customers. Journeys, an Alternative shoe retailer, is offering customers $10 off for completing challenges in their store. As you can see, these can be a lot of fun! I also found out that unlike many of it’s competitors, SCVNGR actually has a game plan that includes generating revenue. Although, for now, they are focused on growing their user numbers, primarily in the big cities. The fact that they are funded by the likes of Google helps with this growth period. They plan on charging businesses a small fee to use their platform for promotion (rewards). For now, Evan told me, they are offering the services free of charge for the first 50 businesses in each market.